The 8th Annual Maret Fun Run & Walk is a great opportunity for families to participate in some fitness together and celebrate Environmental Spirit Week all while getting to know other Maret families and faculty better. 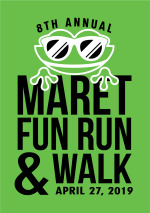 The Maret Fun Run & Walk is a family friendly event for all Maret students, faculty, siblings, parents and friends. The race will begin and end in the semi circle outside the Kindergarten Cottage on Maret's campus. The course is a one mile loop around the Maret neighborhood. 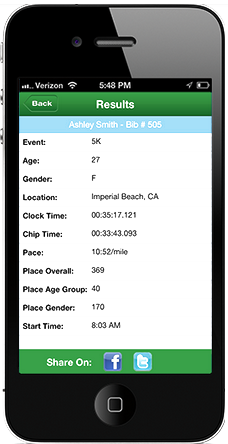 Runners have the option of running one, two or three loops. All ages and fitness levels are encouraged to attend. The theme of this year's race is the "No Waste Race" in celebration of Earth Day and Environmental Spirit Week. The Fun Run committee is working hard to find ways to ensure that this event produces as little trash as possible. There are a lot of volunteer opportunities for those that are not interested in running or walking that day. We need volunteers at registration; the finish line handing out medals; distributing water and food; cheering on the runners/walkers; and helping direct runners/walkers on the race course. Please contact Amanda Marshall at amandataylormarshall@gmail.com if you are interested in helping us. Thank you!